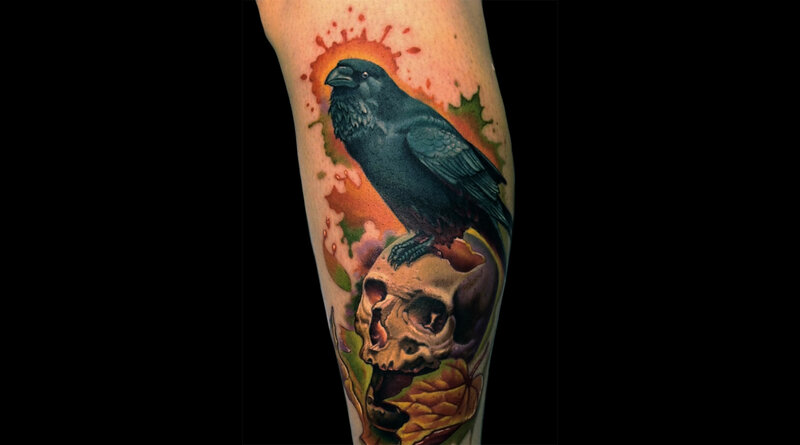 From Greco-Roman, Germanic, Chinese mythology to Shakespeare’s and Poe’s writings, the Raven has been mentioned with symbolism in various cultures and works of art. 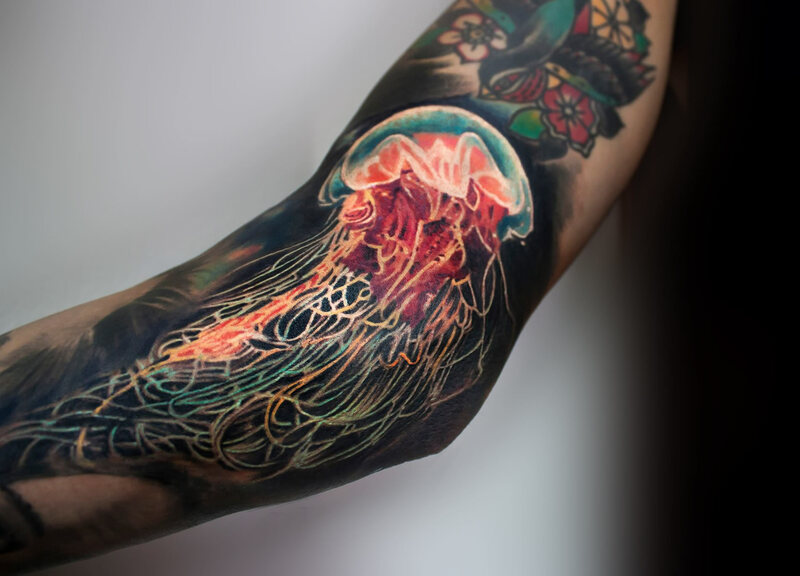 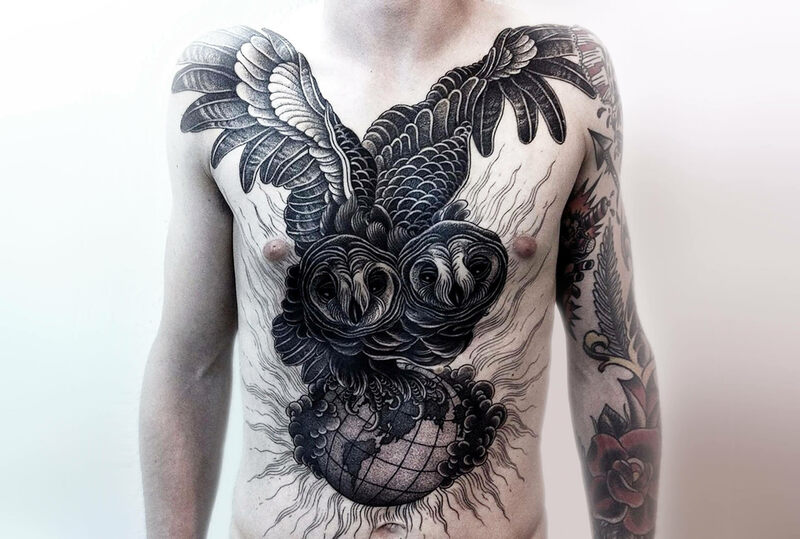 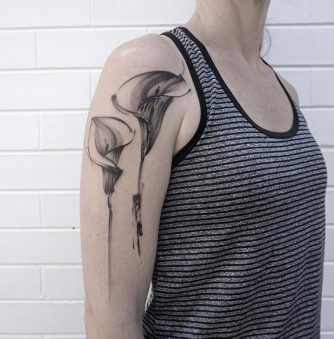 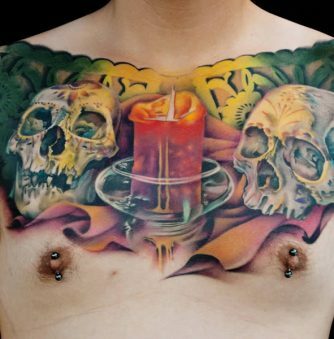 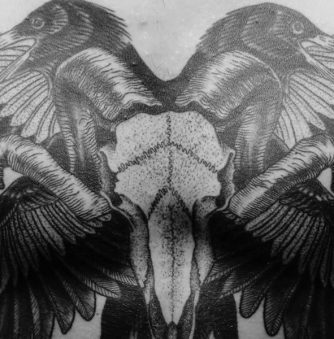 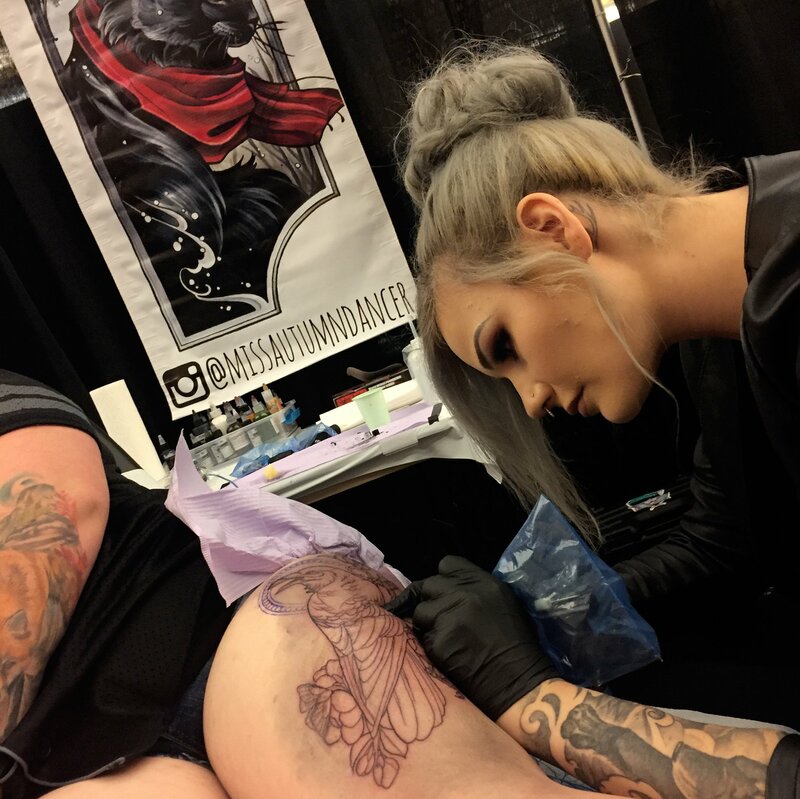 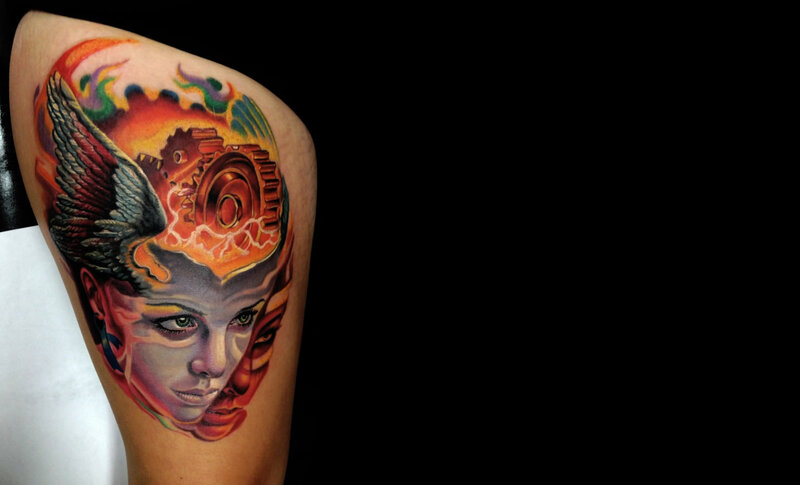 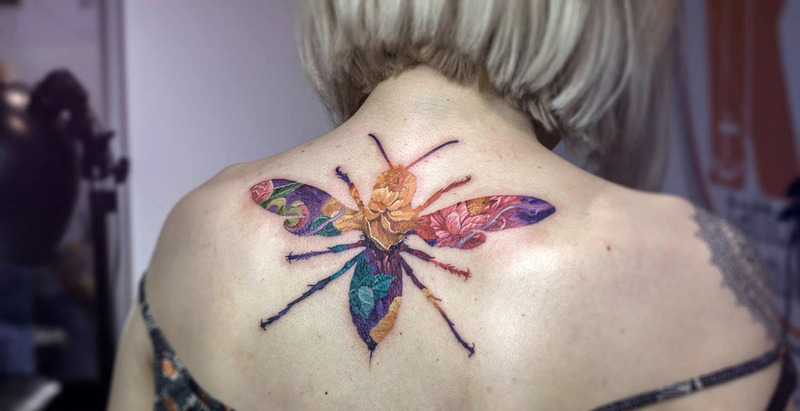 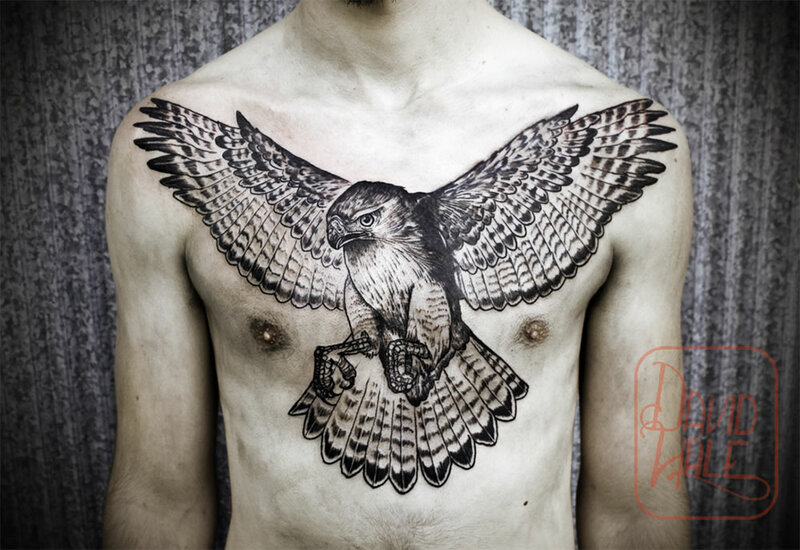 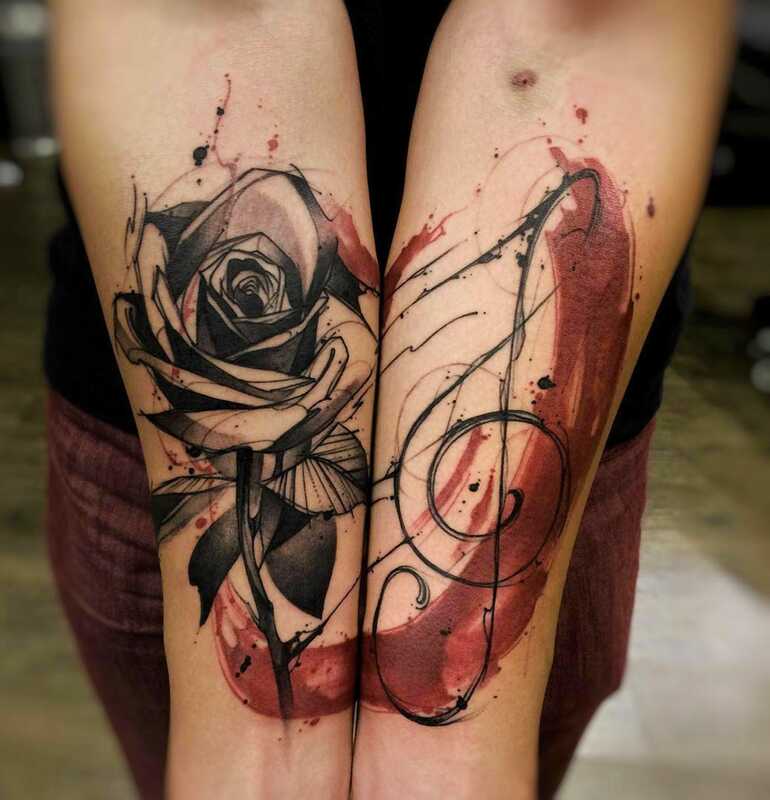 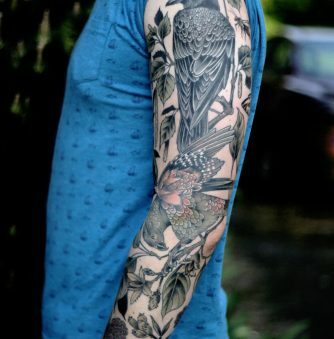 You can see the bird attentively sitting on a human skull in Timothy Boor’s tattoo shown above. 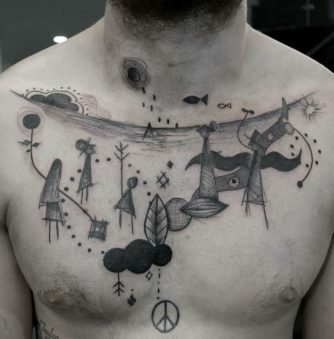 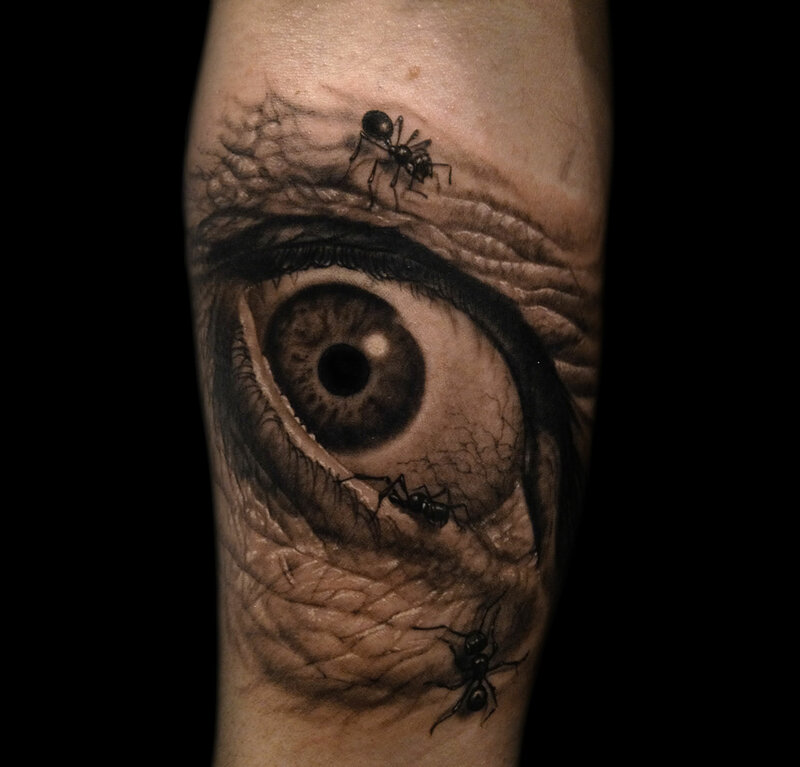 This American tattooer, owner of The Bohemian Tattoo Club, has done dramatic-themed body art like “Dante and Virgil in Hell” and a freaky eye of the great Salvador Dali (see below). 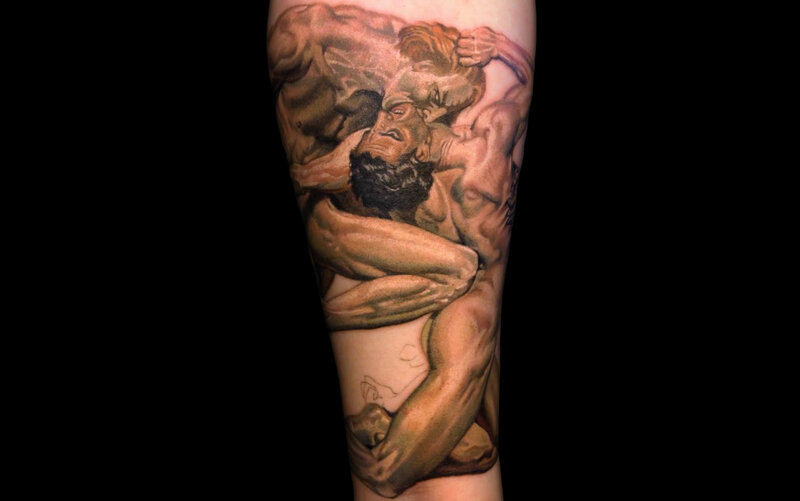 Boor had once attended oil painting classes as a child, and in later years was introduced to Baroque, Renaissance and Surrealist art. 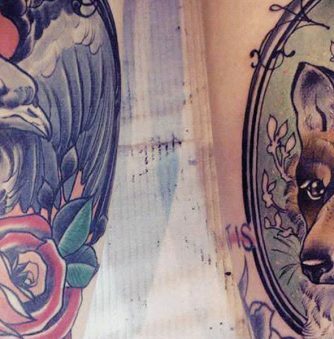 Although influenced by painters of the past, Boor has also been inspired by present creators—an example is his delightful fusion of Wes Anderson’s “Fantastic Mr. Fox” and “The Life Aquatic with Steve Zissou” in this tattoo.